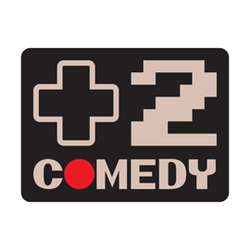 +2 Comedy is a unique comedy trio unlike anything currently in the stand-up comedy world. This original form of stand-up comedy is created solely for nerds. Their comedy is on such topics as Star Wars, video games, comic books, Anime, D&D and the like. Their show, which can run from 30-90 minutes, consists of stand-up comedy as well as a Q &A with the audience where they answer questions like, "Could Boba Fett take the Cloverfield monster in a fight?" "Who is the best character to use Virtual Fighter?" and "What is the greatest movie trilogy of all time?" +2 comedy has preformed at the VGXPO in Philly as part of Wikicon, in Ohio at Anime Punch's Armageddicon, in Baltimore for Otakon, Kotoricon and Zenkaikon as well as clubs across the country, so you won't want to miss them!